Quality of Care: How Does Your Hospital Measure Up? Home > CMS never events > Quality of Care: How Does Your Hospital Measure Up? How to you find out about hospital quality of care? Attorneys who handle medical malpractice and personal injury cases soon develop an understanding of the quality of care rendered by local hospitals – those that serve their clients or employ their defendants. We’ve heard our attorney clients express preferences for which hospital they’d like to be admitted to, based on that knowledge. Statistics like this are frightening, to say the least. We go to the hospital to get better, and could end up far worse. Is there anything we can do? We can become more educated about the quality of care of hospitals where we intend to receive our care. Not all hospitals deliver the same quality of care. The rate of unintended harm to patients can be higher in some hospitals. There are several tools available online to the public that have some great information. Leapfrog launched the Hospital Safety Score which rates patient safety efforts and outcomes of more than 2,500 general acute care hospitals in the US. 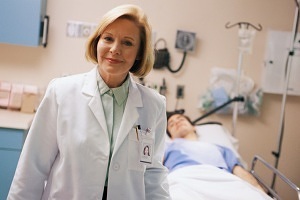 Hospitals receive letter grades (A, B, C, D, and F). You can also click on “View the Full Score” to get details about outcome measures and process measures. Outcome measures included errors, accidents, and injuries that the hospital publicly reported. Process measures included the management structure and procedures a hospital had in place to protect patients from errors, accidents, and injuries. The measures are explained on the website. Each of the measures then shows the scores of the hospital you are researching, the worst performing hospital, and the best performing hospital, as well as the data source and the time period covered. Another great resource for hospital quality of care is Hospital Compare provided by the Centers for Medicare and Medicaid Services. It provides information about the quality of care at over 4,000 Medicare-certified hospitals in the US. It also has a tool so that you can compare up to three hospitals at a time. So, although our goal is certainly to remain healthy and out of the hospital, when we require their services, and we have time to make a more informed decision, it’s nice to know that there are resources to help us make the best possible choice for our care. By the way, even when we don’t have the luxury of time to make a decision, the fact that these types of tools are available to the public keeps the hospitals “on their toes” and gives them incentive to provide the best possible quality of care…free of unintended harmful outcomes. Jane Heron, RN, BSN, MBA, LNCC provides Med League’s clients with quality legal nurse consulting services.